Crust is a mighty book. Both physically and intellectually. With almost 800 pages, Crust weighs in at over four pounds. When you pick it up, you know that something substantial is in your hand, or hands. Open the book, and the substance becomes totally evident. Author Barbara Elisi Caracciolo was born in Rome and grew up on the grand breads of Italy in general and surely of Rome with its many markets. About 15 years ago, she moved to Stockholm in search of a better quality of life. And to do medical research — Barbara has a science background that shines through in every recipe. She loves Stockholm, she loves bread, she loves writing about bread, and she wants us all to enjoy the wonders produced by grain and water. 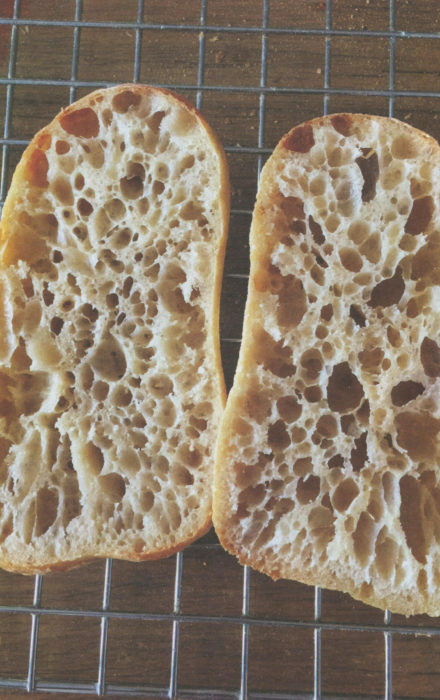 Barbara has been collecting and using bread books for decades. She was never satisfied with any “one” book as “the” book for baking. 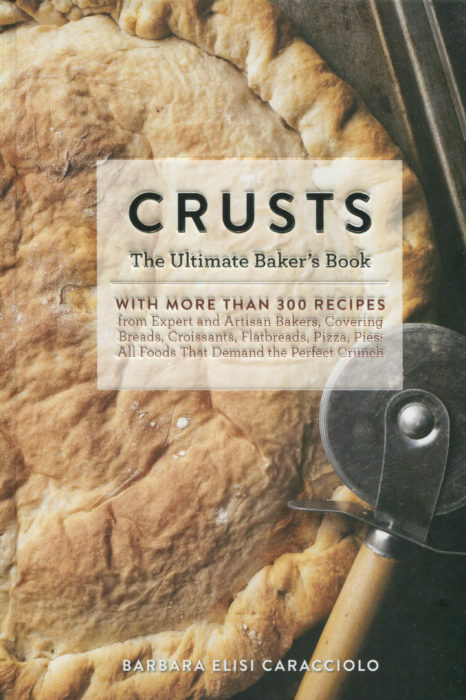 Crust has the subtitle The Ultimate Baker’s Book. I believe it is. Barbara has put her own recipes into his book to be sure. But she has contributions from almost 50 other world-class authors, bakers, bakeries, and grain millers. And some are surprising. Many of those pizza recipes come from Australia and New Zealand. Who would have thought? 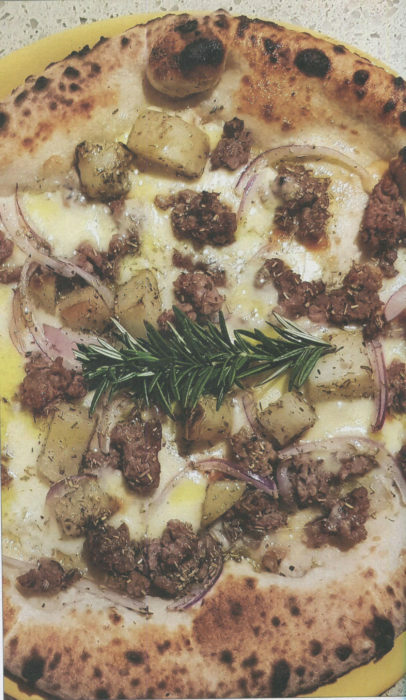 [Although, one Aussie pizza maker admits to getting his tomatoes from California]. Those contributors discuss their backgrounds, their favorites, things as well they don’t like, and, of course, best recipes. It’s a whirlwind, worldwide tour. You don’t get to a recipe in Crust for a hundred pages. The chapters Fundamentals of Bread and Encyclopedia of Grains and Pulses are designed to give you an education in bread baking. Not an overview. An education. These pages are detailed, carefully woven, and intelligently presented. You will need some time here but that investment will be transforming. When you eat a scone, what goes on top: butter and then jam or the jam followed by the butter. Oh, yes, there is debate in Great Britain where scones are treasured items. Barbara delivers 14 scone recipes for you including Sour Cream and Dill, Rosemary Black Pepper, and Cheddar Jalapeno. No, I don’t think you’ll find any of those on the breakfast table at your Scottish inn. But, you’ll enjoy them in your home using the guidance of Crust. Crust is monumental. It’s obvious from its heft. And from the fact that it takes an hour just to leaf through the book. You won’t find one or two recipes you must try here — you’ll find dozens. Barbara did want this to be The Ultimate Baker’s Book. It is.